We were so happy to start a new year after the challenges of the last several months. With the holidays and the four rounds of chemotherapy finished, we were able to focus on other things. Dave was feeling good and his scans from late December were remarkably good. The physician was very optimistic that Dave might have a number of really good months. As soon as our granddaughter Lexi got back to college in Virginia, her boyfriend proposed marriage. We were not surprised as she had spent many hours with him on Skype or the phone while she was visiting us. We are very excited for her. She decided that she wanted to wear my wedding dress if possible. her mother had worn my mother's wedding dress so it is a bit of a tradition. I dug out my dress which brought back very fond memories to us. We have mailed it off to Nauvoo for her mother to evaluate. Julie will take it to Lexi in late March, when they go to meet the fiancée, to see if it fits. It does fit her sister Tashi, and they usually can wear the same clothes, so it is hopeful. 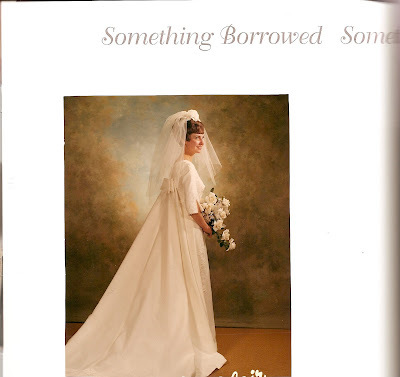 Here is a photo of Suz in her wedding dress which Lexi might wear when she marries in June. Since the doctor felt that Dave would still be doing well by May, we decided to take a trip to Spain with our son and his family. Paul got busy and got us a wonderful itinerary and purchased our plane tickets. We spent fun times studying different cities and deciding on the ones we most wanted to visit. I started reading Iberia by James E. Michener and found that Spain is really a remarkable country with amazing history dating back far before the Romans. So much of what we have experienced in Guatemala and Chile has its roots in Spanish traditions that the country fascinates us. We had a great January. Dave's Mom came for an 8 day visit and we so enjoyed her. She brought her cute dog, Tucker, whom our cat came to tolerate quite well. We watched the series of The Winds of War while she was here and were reminded of the craziness of the world leading up to the US involvement in WWII following the bombing of Pearl Harbor. We swapped photos and family history information, especially information on Dave's father, Paul Limburg. We also took one day and took her to the Fremont Indian State Park which is 30 min. from our home. The day we took Mom home, we stopped at the BYU Museum of Art to enjoy the Carl Bloch exhibit on the life of the Savior. We met our daughter Jill there with four of her children and had such a good time. Then Mom took us to lunch in the museum cafe. It is hard not to feel the spirit of this great man's art. Our hearts were touched and softened by scenes of the Savior with a child, healing the sick, being strengthened by an angel in the Garden of Gethsemane, etc. The last week of January we had two wonderful experiences. Our friends, Steve and Pat Boyden stopped to visit on their way to California. Steve had been our son Paul's Mission President and when we got to Chile, he was the Executive Secretary to the Area Presidency. These two did so much for us from the time before we reached Chile until they left in July. For several hours we visited and enjoyed Chinese food. Three days later, we attended the Manti Temple with our good friend Linda Rowley. Her son had passed away and she had prepared her son's name to receive his endowment. She invited Dave to be proxy for Preston and what a treat that was for all of us. Dave felt so honored to stand in for a young man who had been a part of our lives and our kids' lives for many years. We had experienced a fall and winter in Utah before leaving for Chile. 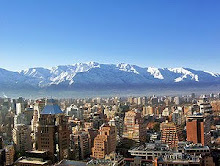 Since Chile is in the Southern Hemisphere, we went into fall and winter there. We came home into the Northern Hemisphere where it was fall and then winter. We were anxious to get a little sunshine and also visit Micaela and her family in Hawaii. I had been in Hawaii for the birth of Andrew and had seen their home and community but Dave had not been able to go. We left on Feb. 5th and spent 12 wonderful days in Hawaii. First we spent several days with Micaela and her family and had so much fun. Then we took four days to visit two of the other islands. First we visited the Big Island and experienced a live volcano at Hawaii Volcanoes National Park. This volcano has been erupting since 1983, I think, but it wasn't particularly active when we were there. A few weeks later it had a major eruption, but what we saw was plenty spectacular for us. We stayed in Hilo and rented a car and had a great time. There is a Tsunami Museum in Hilo which we toured and learned a great deal about Tsunamis--we definitely have greater appreciation for their destructive power. This smouldering crater is huge. It was once a bubbling lake of lava until it erupted about 100 years ago. At night, one can see the pink glow of the crater in the night sky and we were also able to see lava flowing down the side of a mountain. Recent lava flows have covered much of the road. We were at an area where the lava was only three weeks old. Since then there has been a much bigger ereuption. This is a coconut palm growing out of lava tube. This is in a state park along the coast. This park harbors many of the few remaining ironwood trees in Hawaii. It was fascinating. The waves were crashing about 40 feet high on the cliffs at the park. through tropical rain forest that was just stunning. From there we flew to Maui, took The Road to Hana and spent a day in the Haleakala National Park. We accidently got in on some whale watching and saw part of a gorgeous state park in a downpour. Probably the best part was arising at 4 am and driving to the top of the inactive volcano cone and watching the sunrise. The scenery was stunning and we came back with lots of appreciation of volcanoes and other things about Hawaii other than just its beaches. Then we finished up the trip with several more days with family. We took a two-hour hike to a lighthouse and Dave did well as long as we went slowly. We also toured Plantation Village, a wonderful botanical garden, and also the Princess Beatrice Bishop Museum in Honolulu. We finished up with a trip to the North Shore to see the Pipeline and then had the wonderful experience of attending the Laie Temple with Micaela and Travis. Three members of her ward volunteered to tend the children while we were gone. Baby-sitting is not so common there so we were so happy to get away with them for this special experience. Wow, what a wonderful trip it all had been! The Bishop Museum is a real treasure on Hawaiian history. One could spend am entire day there and not finish. A few days after returning home, I attended a recital for the piano students of our grandson, Jordan Mulder. Dave was ill with a cold and also he had a lot of aches and pains. I was so impressed with these students of Jordan's. Three of them were his siblings who have just blossomed in their ability since he became their teacher. Jordan conducting his first recital and Kate and her Mom Jill after her voice and piano recital. Our dear friend of many years, Charla Hays, came out to visit the next week. Her family had been skiing in Colorado and when they returned to Virginia, she drove out to Utah to visit us. She stayed with us for two days and nights and we just had a wonderful visit. She had been a nurse at our little hospital years before and we became good friends with her and her family. We have stayed in touch these many years. 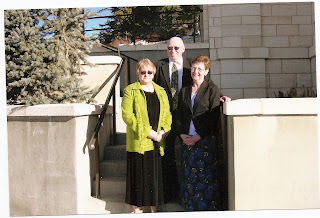 We met them in Colorado twice to attend the Telluride Bluegrass Festival together, and we have visited with them at their permanent home in Texas. From the time we returned to Utah, Dave had been having pain down his arms and also sciatica pain like he had experienced 10 years before. He couldn't sleep in a bed and used the recliner instead. He had a scan scheduled for 8 days after our return from Hawaii, and we were not surprised when the doctor told us that the cancer had grown rapidly since the scans in December. We were so happy that we had made the trip to Hawaii when we did. If we had waited even a week later, it couldn't have happened. Dave decided to try a three day course of palliative chemo for symptom management and possible to slow down the tumor growth. He received it Wed., Thurs. and Friday of that same week. Now, we are entering a new phase of our lives--a direction we would not choose to go but we accept that this is the will of the Lord.